The new Trinity School on Taunton Road in Lee has an imposing presence, some suggest it is somewhat overbearing for the location within an area where Victorian terraces predominate. 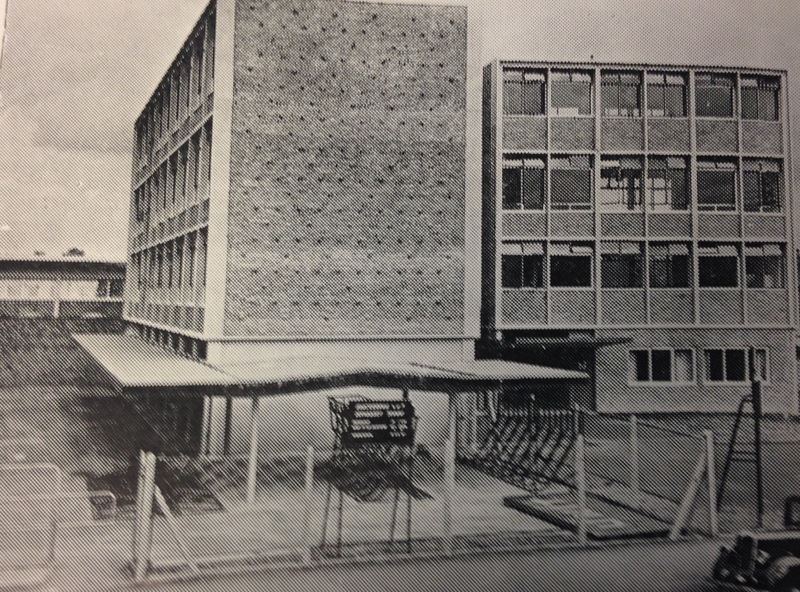 Whatever, the current architectural merit of the school, the site has an interesting history – it is the third generation of schools to have been on the site – this post explores some of the history of its predecessors which were known as Hedgley Street and Northbrook. When the Ordnance Survey cartographers surveyed the area in 1863, the site was part of the then extended grounds of the Manor House (1). 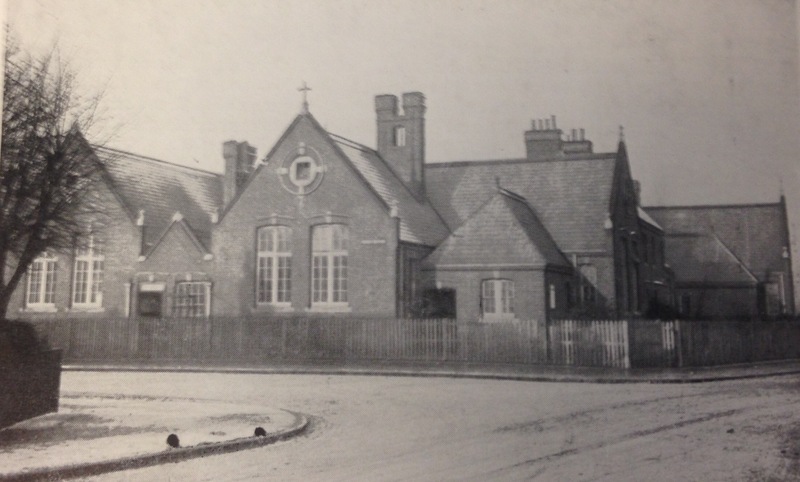 The beginnings of the first school were only a few years later – the first on-line mention of it seems to have been granting permission to the local builder John Pound, to ‘erect an infant school in Hedgley Street’ at Lee and Kidbrooke Board of Works meeting in July 1870 (1). John Pound has been covered a couple of times before in Running Past – both in relation to the large number of houses he built around Lee as well as a quartet of pubs. Piece of land situate in Hedgley Street, Lee, containing on the south 100 feet, on the north 129 feet, on the west 213 feet and on the east 255 feet or thereabouts ….to be used as a school for the education of the children of labouring and other poor persons of the parish of Lee. Like all the local schools children from Lee, the children from Hedgley Street will have celebrated Queen Victoria’s Golden Jubilee in 1887 at The Cedars on Belmont Hill (7). There was a similar celebration a decade later for the Diamond Jubilee – this time, it acted partially as a fundraiser for a new classroom at the school (8). 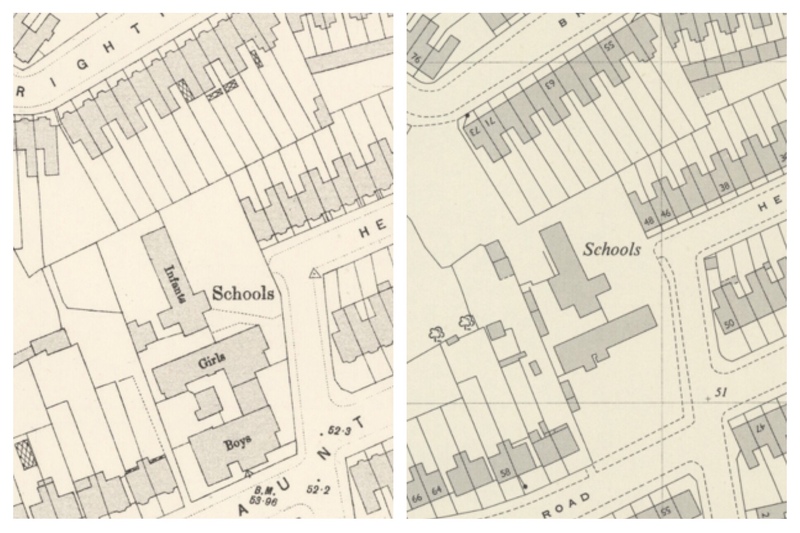 The school started to receive London County Council (LCC) funding in 1903 and seems to have changed its name to Northbrook at around this point (10). Coming under the auspices of the LCC, higher standards of accommodation and facilities seem to have been expected. After a surveyors report in early1905, significant works were agreed by LCC Education Committee – including tarmacking the playground, provision of cloakrooms, a new hall, rebuilding offices (11). However, the school clearly struggled to fund works required of them by the LCC – it had spent over £800 by the spring of the following year but hadn’t done work to heating and other works that would cost in total another £1200 (12). In the end the governors had to take out a mortgage of £1000 to undertake work required by LCC (13). During the Blitz the children were evacuated to Ashford in Kent. The boys (Junior) school was completely destroyed in a daytime raid in 1941 (14), while, as the maps from pre-war and 1950 (15) show, the girls and infants schools survived, they were seriously damaged – marked beyond repair in the case of the Infants School at the rear in the LCC Bomb Damage Maps (16). The school never re-assembled as a primary school. It was rebuilt as a secondary school, still named Northbrook. It was designed by Covell and Matthews and built by Unit Construction, as the photograph below shows (17). It was officially opened by Princess Margaret in December 1957, although children had returned in the summer term of 1957 in ‘small numbers’ – a roll of just 151 with 7 teachers and 6 ‘clergy assistants’ when it first re-opened. It was planned to gradually increase numbers to full complement within 2 years. The funding was a mixture of LCC, local funding from churches and from the Diocese (18). 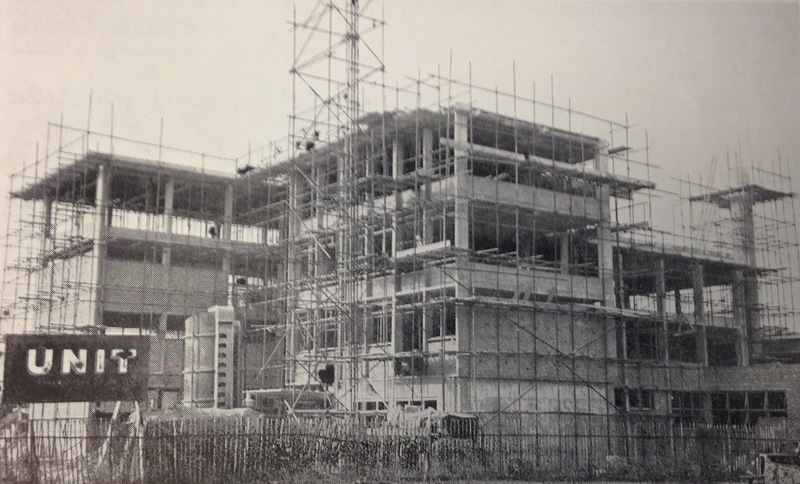 The new school, just after completion is pictured below (19); a 6th form block was added in the following decades at the side of the building. By the mid-1990s, the school was struggling; in 1995 only 5% of students achieved 5 A-C GCSEs – putting inside the bottom 30 schools in the country (20). Later Ofsted reports though, suggested some gradual improvement in the years afterwards. 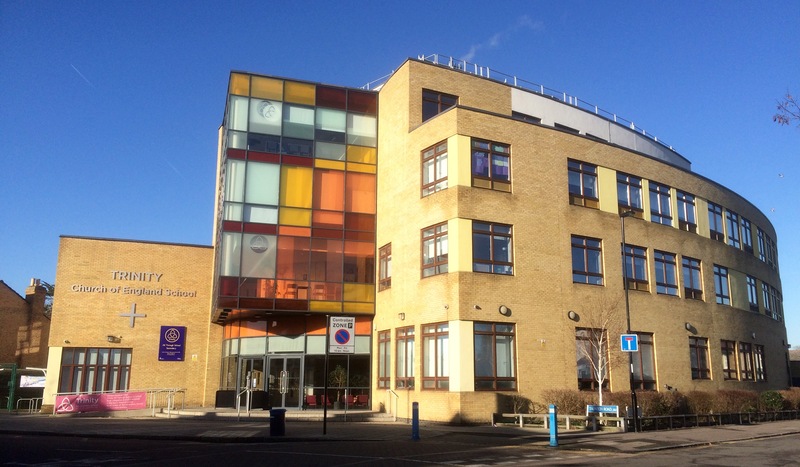 The current school opened in January 2011, one of the many Building Schools for the Future funded programmes of the 1997 – 2010 Labour Government – it was officially opened in June 2011 by the then Archbishop of York, Dr John Sentamu along with Lewisham East MP Heidi Alexander and the Right Reverend Christopher Chessun, Bishop of Southwark. There had been opposition about the scale of the development, which was much bigger than its predecessor and went up closer to the boundaries, the new building has a 77 per cent increase in building area and a 50 per cent building. There were also concerns about the effective encroachment of the playground into Manor House Gardens. The Times (London, England), Tuesday, November 21, 1995; pg. 2[S]; Issue 65430. This entry was posted in Lewisham History and tagged Hedgley Street, John Pound, Lee, Northbrook School, Trinity School on March 21, 2018 by Paul B.